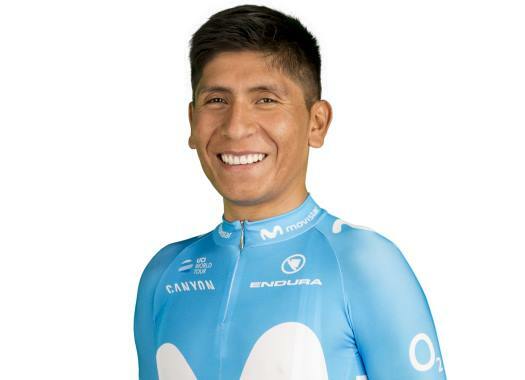 Nairo Quintana (Movistar) finished the second week of racing in the Vuelta a España in the third position of the General Classification at 33 seconds from leader Simon Yates. The Colombian couldn't hold the pace of the favourites at the last stretch of the stage and crossed the finish line in the fifth position, at 34 seconds from stage victor Thibaut Pinot (Groupama-FDJ). "I didn't get any benefits from today," said the rider at the finish line. "We were all very similar in strength and Lopez ended up taking the most seconds. The truth is that there was a lot of tension on the climb, Yates and Lopez were very similar to me, a situation that Pinot took advantage of and went on to take the victory." Quintana rode most of the last climb with Miguel Angel Lopez (Astana), Yates, Enric Mas (Quick-Step Floors) and his teammate Alejandro Valverde. "Astana faced the stage with a strong mentality, the had this stage in mind and they did it very very well," he commented. "They made things very difficult but another rider took advantage of that." The third week of the Spanish grand tour starts with an individual time trial, in which the Colombian has specific expectations. "We will keep fighting, I maintain the good feelings and I hope to do a good time trial, hopefully, a better one than my rivals."